As connected devices, massive downloads, and virtual collaboration become the norm, other networks may struggle to keep up. That’s why Comcast is building the nation’s largest Gig-speed network — a network that is capable of transforming more businesses in more places. 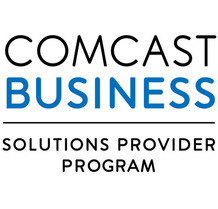 Regardless of your business’s bandwidth needs, Comcast Business has the right speed for you. Worry less about large files and connected devices, and get lighting-fast Internet with Comcast Business — all more affordably.